It is obvious that to be a dancer you need support from your family in the form of money; paying for the years of dance classes, workshops, leotards, tights, pointe shoes, etc. I will start by saying that both my parents have made a lot of sacrifices to make sure they can support me in my career and I am forever grateful for that. I did not pick the easiest career path by choosing to be a dancer, but my life is much easier because of the intangible gifts of time, patience, and understanding I have been receiving from my mother for years. I will admit I have not see a lot of the show “Dance Moms”, but I can make a few assumptions about what it is about. It shows the most extreme form of a stage mom, and I am thankful to say my mother is nothing like that. Obviously those mothers are very supportive of their daughters, (she has that in common with them) but in order for your child to grow and learn you cannot let yourself become too involved. The way a “Dance Mom” spends her time is very important. No time should be spent complaining, calling, or arguing with teachers when your daughter does not get the part she wants. Every mother wants their daughter to have the best parts and be the best dancer, but she must be patient, because being the best dancer does not come quickly. If you do not understand the nature of the art form, it will be impossible to hold back from getting involved. My mother, Colleen, loves watching dance. She took me to see the Joffrey Ballet and Alvin Ailey perform every year as a child, so eventually I wanted to try. Once I decided to start dancing more seriously, my mother spent anywhere from 3 to 6 days a week driving me 40 minutes both ways to dance class and rehearsals. Since we traveled so far, she would wait for however many hours I was in class for that day. As I got older, she would wait for me while I was at auditions, wait for me in rehearsals, and wait for me to through the end of performances. Only the unconditional love of a mother would lead someone to spend so much time waiting around. Luckily all the time spent in the car became built in bonding time for Mom and me. She always asked how dance was. Over the years my one-word answers became in depth, intellectual and technical conversations about dance. My mother cared because of how much I care, and therefore took the time to understand. 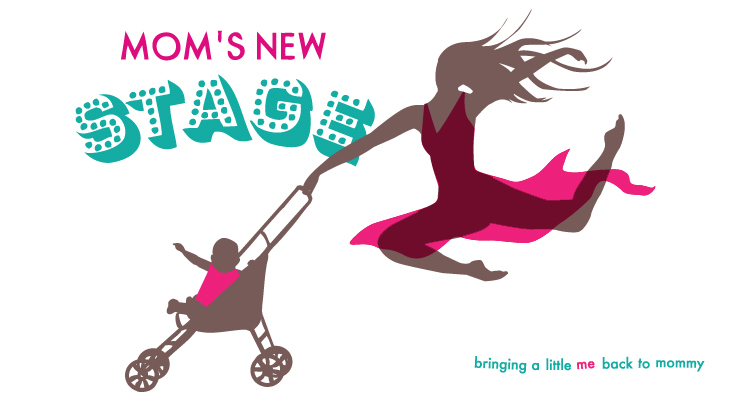 I think it is hard for a lot of stage moms to understand there is no instant gratification in this art form. Rejections come often, and instead of joining me in my disappointment and trying to find a quick fix to the situation, my mother was patient. She knew it was best to step back and let me solve the problems with hard work, rather than get involved like the “Dance Moms” often do when their daughters are unhappy. This past weekend I was reminded of what a wonderful “Dance Mom” I have. My mother flew to New York from Chicago for a day to see me perform for the first time in a year and a half. Of course I was excited to see my mother and have her cheer me on, but I was most excited that she would be able to see the difference in my dancing. Looking back to our years of car-ride conversations and our dates to see professional companies I know she understands the art form. For this reason I value her compliments even more. Mom never has anything but encouraging and honest words for me when it comes to my dancing. 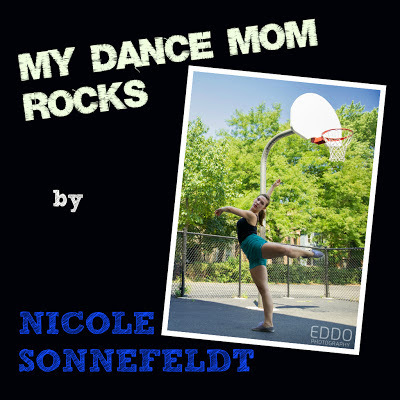 From Chicago, IL, Nicole Sonnefeldt studied at Dance Center Evanston, in Evanston, IL and was a member of the Evanston Dance Ensemble. Nicole attended the Chicago Academy for the Arts under the direction of Randy Duncan, where she performed works by Jonathan Alsberry, Eddy Ocampo, Nick Pupillo, and Randy Duncan. Nicole was a member of the Chicago Academy for the Arts Repertory Ensemble with which she performed at The Harris Theater. 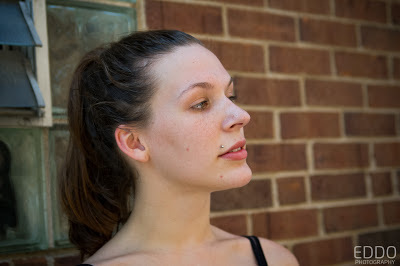 She has spent summers training at Alonzo King’s LINES Ballet, Hubbard Street Dance Chicago, and as a scholarship student at Visceral Dance Center. Nicole has been a guest choreographer for Prospect High School Orchesis and Patchwork City dance, and is now a sophomore in the Conservatory of Dance at SUNY Purchase College. Nicole is currently in the application process to study with a concentration in Dance Composition and is Minoring in Arts Management. This spring she will start performing with Michael J. Clark & Artists, and plans to attend Alexandra Well’s Movement Invention Project this summer.